While addressing staff Chan, who began at Bauer earlier this year, said the company's revenue model needed changing and brands that weren't performing need to be assessed. To ensure the future success of Bauer it is restructuring how it organises its publications with a focus on five consumer and customer segments, including women’s entertainment and lifestyle, homes, food, fashion, health and beauty, and motoring and trader. 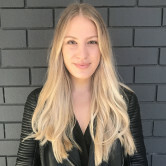 AdNews understands all related brands will be organised under these segments, with other titles moved into content marketing and specialist publishing business BauerWorks. While Bauer says there are no plans to cut any magazines at this time, it could mean an uncertain future ahead for publishing titles Baby, Mother, Money, Rugby League Week, People, Good Health - that don't sit under those core segments. 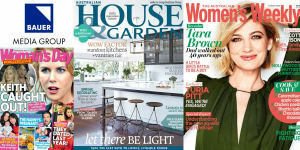 The restructure of operations follow a slew of departures from Bauer, most recently Marina Go, Carl Hammerschmidt and Matt Dominello, leaving the publisher without a GM of Hearst brands and a publisher for its dominant title, Australian Women’s Weekly. Helen McCabe exited her editor-in-chief position from Women's Weekly earlier this year, replaced by Kim Doherty. A source close to AdNews says there are more redundancies to come as Chan looks to cut costs across the company. "He hasn't even started yet. But he is the man to do it. There are a lot of jobs that were being held onto for mates so [Go and Dominello] were the easy choices. The harder thing is how to focus your business for digital success when he has a history in print," the source tells AdNews. Chan was brought on at Bauer after David Goodchild stepped back from the position after just a year in the role. It’s been widely reported Chan currently has one of the toughest jobs in media, tasked with rebuilding the business after tumultuous 2015 that saw sales lead Tony Kendall depart and Cleo close its doors. But with a long career in the media industry, running Pacific Magazines for 10 years, many top executives believe he is the right person to turn Bauer around. Bauer Media is undergoing a “viability audit” that sees CEO Nick Chan restructure the magazine offering at the publisher. The move could lead to staff redundancies. The plans to streamline the company were announced by Chan at a company-wide meeting on Monday in the Uniting Church's Wesley Conference Centre, according to the Australian Financial Review.